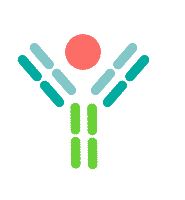 What is Chromatin Immunoprecipitation (ChIP)? Use these helpful resources to delve into chromatin immunoprecipitation and learn how to fine-tune your ChIP assay. These links include everything from a general overview of the method of immunoprecipitation, a Q&A of common ChIP-seq questions, and a research specialist’s first-hand perspective of his technical experience with the technique in the lab. This protocol outlines all the steps of a successful ChIP assay as well as common troubleshooting tips for ChIP. This series, “A Technical Guide to Conquering ChIP,” by research specialist David Esopi at Johns Hopkins Sidney Kimmel Comprehensive Cancer Center delves into the nuances of the optimal ChIP assay. From sample preparation to immunoprecipitation and library analysis, this guide is perfect as an in depth walk-through for the ChIP researcher. This Q&A from BioMed Central addresses many of the common questions surrounding ChIP-seq and troubleshooting issues, including antibody validation, sequencing, and mapping as well as future directions for ChIP-sequencing. This free webinar offered by Abcam is an informative way to understand the genome-wide behavior of transcription factors. Analyzing ChIP-seq data can be very difficult and Xi Chen takes publically available real ChIP-seq data sets to illustrate how to properly perform ChIP-seq routine analysis by utilizing different available online tools. Topics include QC of sequencing reads, read alignment, peak calling, data visualization. From EMBL-EBI, Remco Loos talks about ChIP-seq and the principles behind ChIP. He touches on the advancements in next-generation sequencing and the challenges of data quality. Numerous stages of ChIP-seq is discussed, including design, mapping software, peak calling, data analysis, and genome browsers. Wikipedia provides an overview and description of ChIP-seq, including a ChIP-seq workflow, sensitivity of ChIP, current ChIP-seq research, and a brief discussion of computational analysis. Not only does sample preparation and sequencing pose multiple challenges, but so does computational analysis. This research paper proposes step-by-step guidelines for analyzing ChIP-seq data from sequencing depth selection to peak annotation and motif analysis. Novel curcumin analog C66 prevents diabetic nephropathy via JNK pathway with the involvement of p300/CBP-mediated histone acetylation. This paper demonstrates a successful ChIP-seq experiment, finding new insights into histone acetylation and diabetic nephropathy and showing, for the first time, that C66 treatment can provide a sustained prevention of diabetic nephropathy. ChIP-seq offers high resolution, genome-wide analysis of DNA-protein interactions but often requires large quantities of starting material. Using low cell numbers, this methodology paper discusses the feasibility of low cell number ChIP-seq. ChIP-Seq is an online collection of resources for researchers performing chromatin immunoprecipitation (ChIP) studies investigating the binding sites of DNA-associated proteins. This site provides scientific literature, protocols, and technical guides to help with your ChIP-seq studies. Focus on perfecting each aspect of your ChIP assay, from shearing to antibody selection. Begin your ChIP experiment with a highly sensitive and accurate chromatin immunoprecipitation kit. Try the ChromaFlash High-Sensitivity ChIP Kit. Or learn more about microplate-based chromatin immunoprecipitation. Use ChIPseq.com to guide your ChIP-seq studies and perfect your technique for investigating protein-DNA interactions.